The holiday season is near and we feature some useful presents for animal lovers and at the same time you will help to support our foster dog Pebbles. We hope to raise enough money to pick up acupuncture sessions again, so any additional donation is welcome, too. We will upload more informationen about Pebbles here, but in the meantime you can read more about him on our Facebook page F.R.E.S.A. 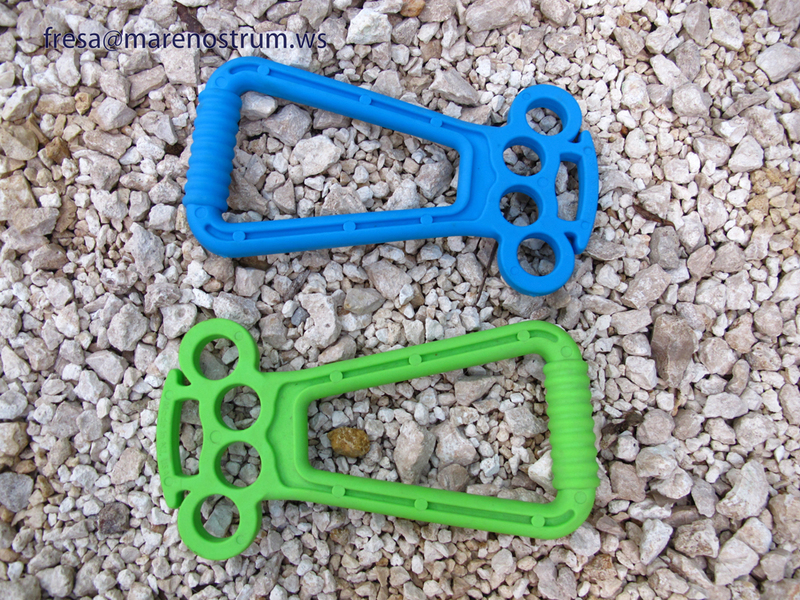 Just send us an email to fresa@marenostrum.ws and we will send you more details on how to order. 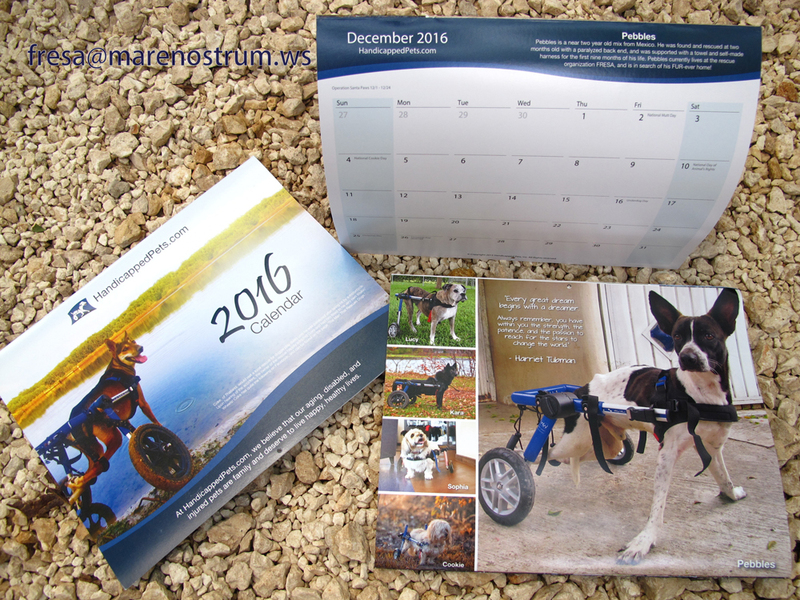 We are very proud that we came into the finals for the first calender of Handicapped Pets. We have some calendars already here in Playa del Carmen and for only 20 USD or 300 Mex. Pesos one will be yours. We also can arrange for low-cost shipments. These designe toys are unique samles before they went into production. They are highly resistant, ergonomic and made from nontoxic materials and are the ultimate and safe fun toy to play with your dog. You can get yours for only 15 USD or 225 Pesos (shipment not included). The best training tool besides praise is a treat and this is true for most dogs. Use this fact and train your dog on every walk. 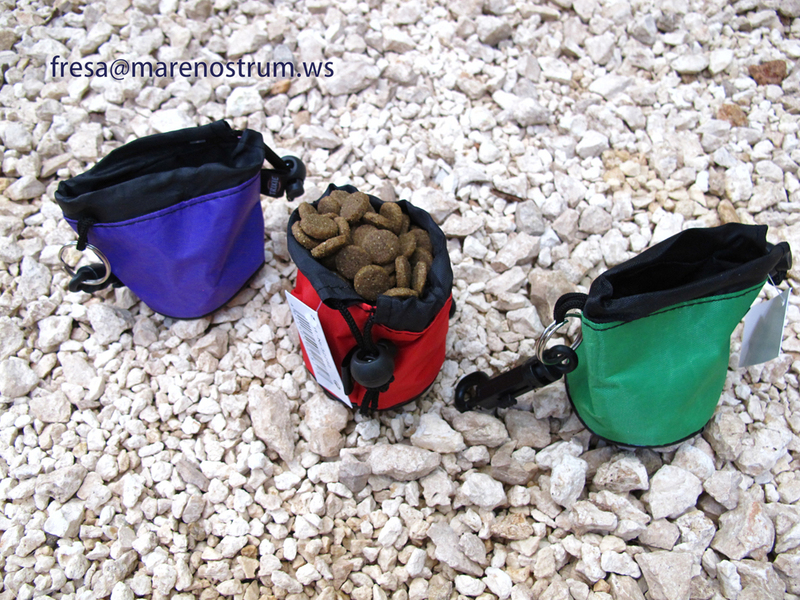 These small bags clip to any belt loop on your trousers or to the leash itself. You convert each walk with your dog to a valuable lesson for just 150 Pesos or 10 USD. 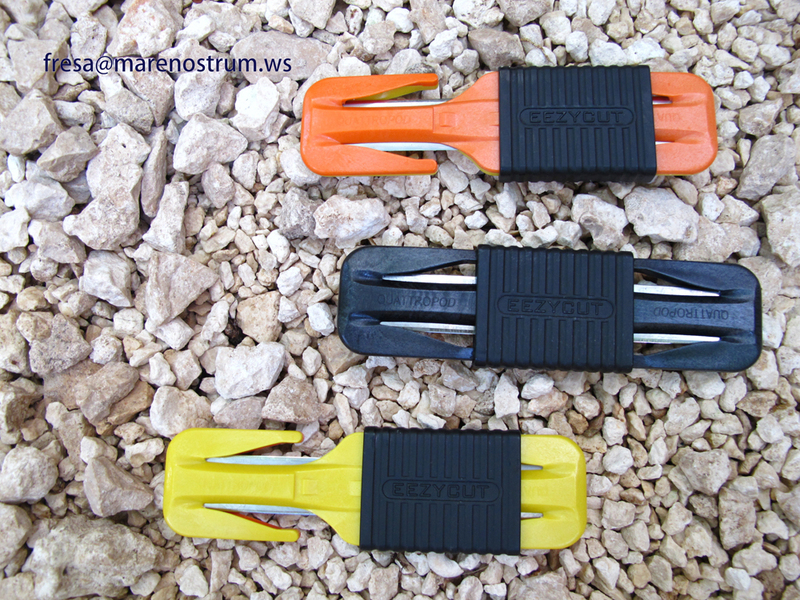 Developped by the same guy as the famous Trilobite for divers, this cutting device is perfect for all sports activities and indespensable in your household. A QuattroPod should be in every car (to cut the belt in an emergency), in your purse (to cut a dog loose that is tethered) or in any other situation where you would like to cut really thick rope. Find more information at www.eezycut.com. The Quattropod is available at only 15 USD oder 225 Pesos.